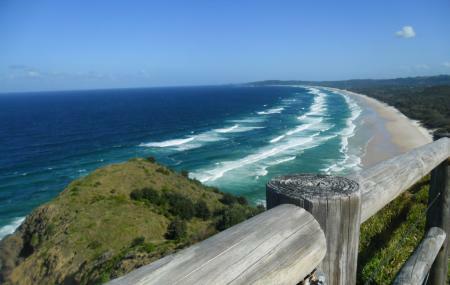 Located 8 kilometers south of Byron Bay, the Tallow Beach offers every Surfer a perfect day on the waves! On a normal day, the waves can go as high as 4 feet! The beach is not recommended for novice surfers due to a lesser number of life-savers as compared to other beaches around Byron bay. If you are, however, an experienced surfer, then the beach is a must to try out. For people who simply love to watch the sport, you can surely spend a few hours at the beach soaking in the sunny goodness and the warm breeze. Carry a change of clothes if you want to surf. A good place for experienced surfers. Novice surfers are recommended to surf at the main beach at Byron bay due to comparatively less numbers of life-savers at the Tallow Beach. Rent a Bicycle or hire a Taxi to reach the beach. How popular is Surfing At Tallow Beach? People normally club together Julian Rocks and Arakwal National Park while planning their visit to Surfing At Tallow Beach.